Featuring over six miles of unspoiled beaches in an ocean-to-freshwater bay habitat and 15.3 miles of trails, False Cape State Park is one of our favorite spots to explore for a unique glimpse into our seaside environment. With dunes, woodlands, farm fields, salt marshes and more, this coastal landscape is unmatched. This remote park is also home to huge number of species that are native to this area, including over 300 species of nesting and migratory songbirds, including a snow geese population of over 10,000, shorebirds and ducks, otters, white-tailed deer, red fox, loggerhead turtles, American bald eagles, feral pigs, wild horses, and a huge number of interesting reptiles. 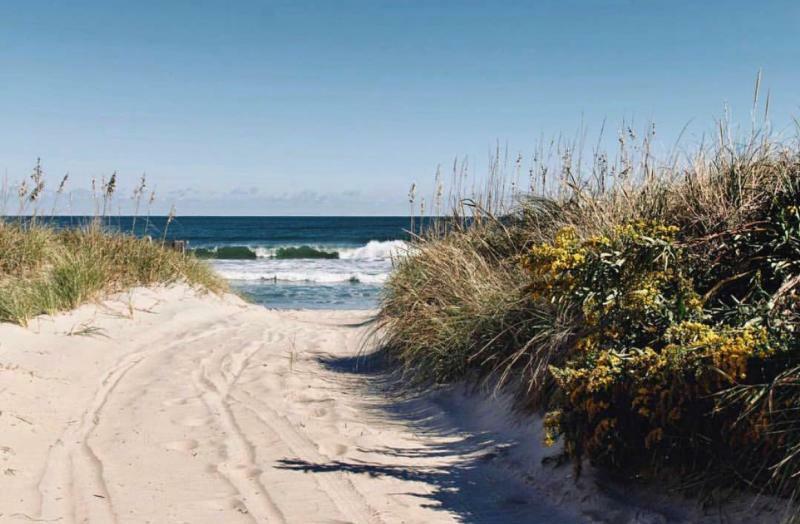 Located in southern Virginia Beach, and running all the way down to the Virginia and North Carolina border, False Cape is a mile-wide barrier spit between Back Bay and the Atlantic Ocean offering primitive beachfront camping, where you can camp in near complete isolation right on the beach. 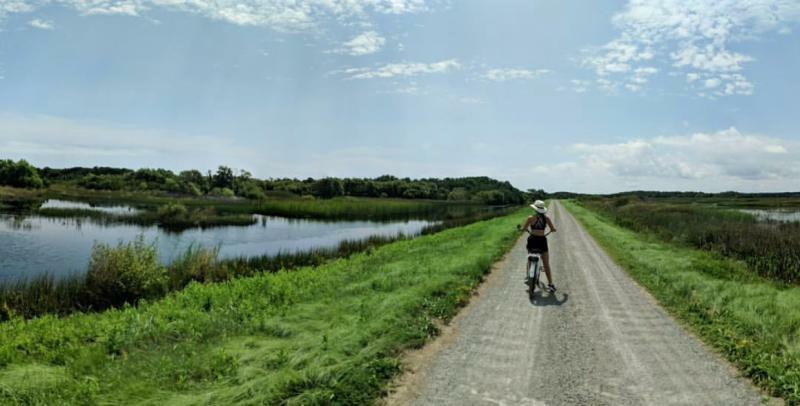 With no public vehicle access, False Cape can only be reached by hiking, biking, small boats, or the park’s beach transport and tram services, through the neighboring Back Bay National Wildlife Refuge. From where you will park your car, at Little Island Park in Sandbridge, the hike to the campsites is anywhere from five to nine miles, depending on where your specific site is, so you’ll want to pack light. The park has 12 campsites for tent-only camping and, while they are very primitive, drinking water is offered in three locations. For what these campsites may lack in convenience, they more than makeup for in unencumbered beauty. 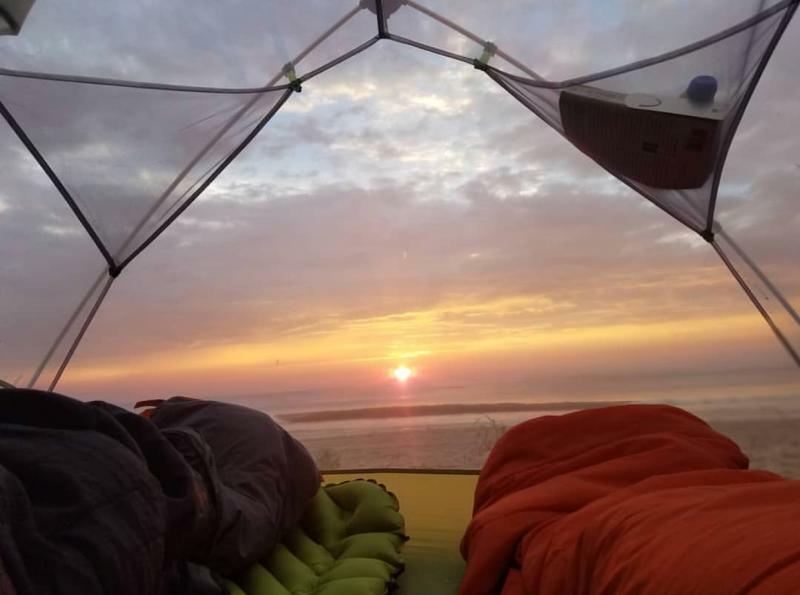 Waking up to the sun rising over the Atlantic Ocean through the entrance of your tent is an experience you’ll remember for a lifetime. With 15 hiking and biking trails, which vary in length and range from easy to difficult, there are many ways to explore one of the last remaining undeveloped areas on the east coast. The longest, and most difficult trail, Sand Ridge Trail, is 6.2 miles and takes both hikers and bikers from near the entrance of the park all the way down to the North Carolina state border. For the dedicated outdoorsmen, we’d recommend navigating the entire 15.3 miles of trails in the park, where you will experience beaches of both an ocean and a bay, dunes, maritime forests, marshes, and wooded swamps, all in one visit.